In 1997 we started the first systemantic study of the Garamantian civilization, under the direction of Mario Liverani. After a preliminary survey beneath the old town of Ghat, our research concentrated first on the citadel of Aghram Nadharif, and then on the village of Fewet, and on the desert forts in areas south and east of the Acacus. Thanks to these excavations, Garamantian materials are now well known and their identification is no longer a controversial issue. The role of the earliest Saharan kingdom in the complex Trans-Saharan dynamics is currently under study as well. 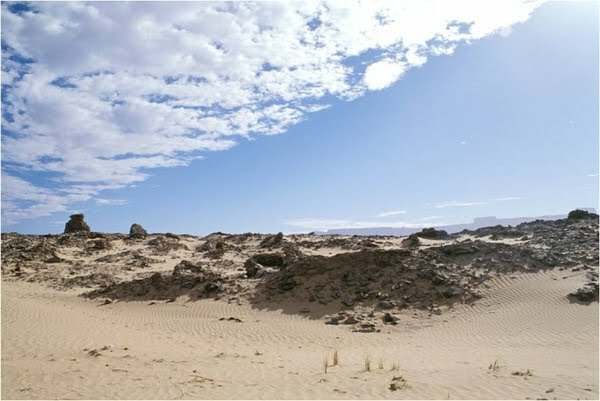 Biagetti S., di Lernia S. 2008.Combining Intensive Field Survey and Digital Technologies: New Data on the Garamantian Castles of Wadi Awiss, Acacus Mts., Libyan Sahara. Journal of African Archaeology 6 (1): 57-85. Castelli, R., M. C. Gatto, M. Cremaschi, M. Liverani, and L. Mori. 2005. A preliminary report of excavations in Fewet, Libyan Sahara. Journal of African Archaeology3:69-102. Liverani, M. (Ed.). 2005. Aghram Nadharif. The Barkat Oasis (Sha 'abiya of Ghat, Libyan Sahara) in Garamantian Times. Vol. 5. AZA Monographs. Firenze: All'Insegna del Giglio. Mori, L. (Ed.) 2013. Life and death of a rural village in Garamantian Times. Vol. 6. AZA Monographs. Firenze: All'Insegna del Giglio.